When people think of homeowner's insurance the first thing that often comes to mind is fire in the home. We can’t think of many scenarios that are scarier than a home fire. Fire can spread very quickly. In just two minutes, a fire can become life-threatening. In five minutes, a residence can be engulfed in flames. 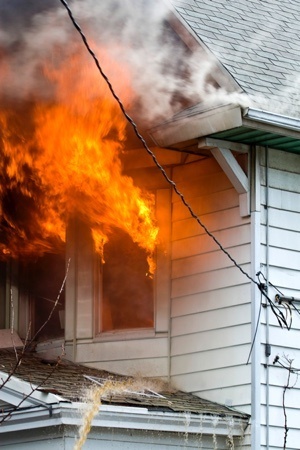 There’s an estimated $7.3 billion in property loss due to home fires each year. More importantly, more than 2,500 people die, and 12,600 people are injured in fires every year. Most fires occur in the kitchen. Other common causes include carelessly discarded cigarettes, sparks from fireplaces, and heating appliances that are too close to furniture and other combustibles. Heat and smoke are often more dangerous than flames. Breathing in super-hot air can sear your lungs, and poisonous gasses produced by a fire can make you disoriented and drowsy. More fire deaths are caused by asphyxiation than burns (a three-to-one ratio). The good news is that home fires are preventable, but you need to be aware of potential hazards, and you need to be diligent about eliminating those risks. As a bonus, you'll reduce the likelihood of a homeowners insurance claim and potentially lower your long term house insurance costs. Stay in the kitchen when you are cooking. Create a 3-foot “kid-free zone” around your stove. Keep outside grills at least 10 feet from siding and deck railings and out from under eaves and overhanging branches. Keep combustible objects at least three feet away from portable heaters and only use heaters that have been evaluated by a nationally recognized laboratory, such as Underwriters Laboratories (UL). Before purchasing a kerosene heater, check on the legality of a kerosene heater with your local fire department. Inspect and clean fireplaces and woodstoves annually. Use a fireplace screen and make sure the fire is completely out before leaving the house or going to bed. If you smoke, do it outside (especially if oxygen is used inside the house) and make sure your cigarettes are completely extinguished in an ashtray or can filled with sand. Soak butts and ashes in water before placing them in a trash can. Use products that have been evaluated by a nationally recognized laboratory, such as Underwriters Laboratories (UL). Check for and replace worn or damaged cords, and never try to force a three-prong plug into a two-slot outlet. Don’t overload extension cords or wall sockets. Finally, check your smoke detectors and replace the batteries regularly. A simple way to remember to check them is to do it in the spring and fall when we change our clocks for Daylight Saving Time. You should also have a professional inspect your home - electric wiring, plumbing (gas), heating, and air conditioning – regularly for potential hazards. You may also want to consider installing a fire alarm system and a home sprinkler system that can help detect and extinguish fires even if you aren’t home. “An ounce of prevention is worth a pound of cure” couldn’t be truer than when you’re protecting your home and family from fire. To learn more about fires and how to prevent them, go to https://www.ready.gov/home-fires. For related information on protecting your home, see our blog post: How to Recover Quickly From Water Damage. Your home is your castle and the source of many fond memories. Don't take a chance with your safety or your memories. Contact American Insuring Group online or give us a call at (800) 947-1270 or (610) 775-3848 to review your home owner’s policy. We're experts at finding the right policy at the right price by searching for you among many competing insurance providers. 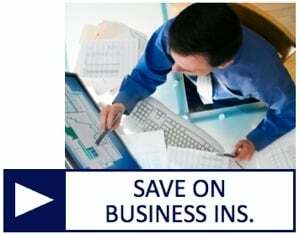 Contact us today to start saving and for your peace of mind. On the surface, home sharing looks like a simple idea. You, the homeowner, offer accommodations to a guest--a home sharer--in exchange for an agreed-upon fee and, in some cases, help with household tasks. There are even companies—Airbnb and HomeAway to name just two—that will list and advertise your home to potential renters. Each of these firms claims over one million listings, attesting to the growing popularity of home sharing. But have you considered whether your house insurance policy covers the additional risks associated with sharing your home? 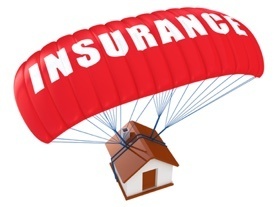 Is your current homeowner's insurance sufficient? Is Your Home Sharing Done For Profit? Watch Out for These Traps! 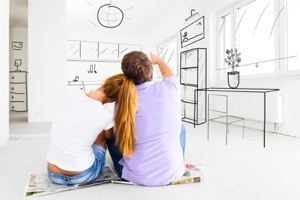 Your standard homeowner’s policy does not cover these home-sharing activities. You have now changed your exposure from that of a residential homeowner to a business vacation rental. And as soon as you create a business exposure in your home, your carrier can refuse coverage for a claim and, in some cases, discontinue liability and property coverages—sometimes at renewal, maybe in mid-term. Up until recently, those who rented out their houses, or just a few rooms, had the option to buy a landlord’s policy to cover the home, structures, liability, and lost rental income. The problem with these policies is that they are designed for people who rent out their property full time. These landlords live elsewhere and have tenants who have signed contracts to live in the rental property for a longer term. Home sharing presents a unique exposure that demands more options in coverage. 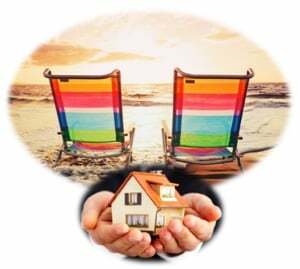 Retired couples who bought a second home at the beach or the mountains are now discovering that they are not spending as much time there as they thought they would. Renting out these properties for short periods (perhaps 6-8 weeks each year) helps to offset set some of the expenses of ownership. The same goes for those who wish to have guests while they take a vacation or an extended business trip. They need a policy that offers risk protection for these shorter terms. Some insurers are responding to this new market with insurance that can be added to an existing policy. These add-ons provide extra protection in cases where, for instance, your guest steals or damages your expensive flat-screen TV. Some home-sharing companies like Airbnb and HomeAway advertise coverage options for their hosts. Keep in mind, however, that these plans also have gaps—like not paying for intentional damages to your property. Before you commit to becoming a host, check with American Insuring Group to understand what your existing homeowner’s policy covers and what exclusions might apply. Then you can purchase a policy that closes all of the gaps. To learn more about homeowner’s insurance and the available add-ons, contact American Insuring Group online or call us at (800) 947-1270 or (610) 775-3848. Like most homeowners, you’ve spent thousands (possibly hundreds of thousands) of dollars to purchase your home, most likely making it the largest purchase you will ever make. In order to protect your investment, you (hopefully) bought a homeowner’s insurance policy that will provide funds to replace your house if it is destroyed or to repair it if it is damaged. But are you aware of everything that is covered and not covered (exclusions)? Are you confident that the amount that your homeowners insurance will pay out in the event of a claim is sufficient to cover all damage or loss? 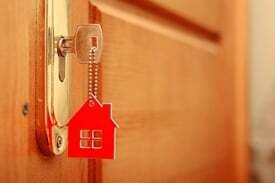 A policy generally will pay for damage to your property and your possessions in the event of fire, storms, theft or vandalism. 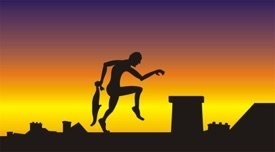 It also provides liability coverage if someone gets hurt on your property. 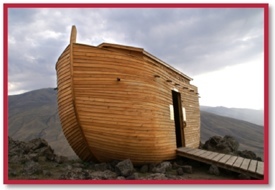 Homeowner’s insurance also covers shelter costs for you and your family while your house is being repaired or rebuilt. It can protect belongings outside the home, too. For instance, items stolen from your car or lost on an airline would be replaced by your homeowner’s coverage. Installing a burglar alarm system could reduce your premiums by 15-20%. Even something as simple as a deadbolt installation could save you 5%. If you have a pool, surrounding it with a fence and using a pool cover can substantially reduce your liability risk. Remember, insurance companies establish your premium based on how much risk they anticipate. You will reduce your premium by reducing your liability risk with some preventive measures. Homeowner’s policies might come with time limits for reporting a claim. Be sure to ask about time limits when buying your policy, and then abide by them. If you wait too long, you may not be eligible for benefits—especially if the problem becomes worse while you delay. For example, if you fail to submit a timely claim for water damage and it turns into a mold problem, your insurer could refuse to pay. Don’t allow a valid insurance claim to be denied because your recordkeeping is shoddy. Writing everything down that occurs during a loss may feel like an inconvenience, but it will help to mitigate your losses with documentation. Receipts, appraisals, and contracts are a good starting point, but you should also write down any conversations, to whom you spoke, and when. Keep your documents in a safe place or save digital copies on a program like Dropbox. Save yourself an expensive surprise by checking the limits that your homeowner’s policy places on jewelry. Items like engagement and wedding rings will probably not be covered under the basic limits of your policy, and you could end up with a $3000 check from your insurer for a lost ring worth twice that amount. Best advice: Stop by a jeweler and get your pieces appraised. 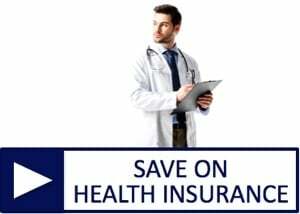 Then, talk to your insurer about purchasing a supplemental policy to cover your expensive items. 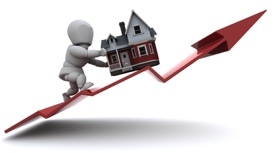 Another way to save money is to bundle your homeowners insurance with other policies that you already own. 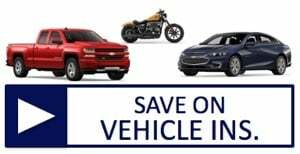 It makes financial sense to have your car and homeowners policies with the same company because they’ll usually offer you some kind of discount. But don’t go buying insurance because the agent says you’ll save money on other policies. After all, if you’re spending money on something that you don’t need, what are you actually saving? Get Ready to Save on the Best Homeowners Insurance! 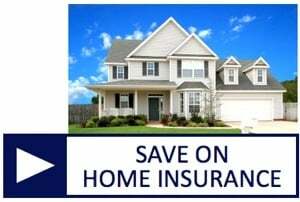 Want to save on homeowners insurance? As independent agents, we're well qualified to find you the best homeowners insurance at the right price because we represent MANY competing insurance carriers. Why settle for a single insurance brand when we can shop and compare for you? 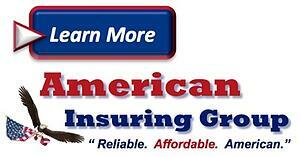 Contact American Insuring Group online or call us at (800) 947-1270 or (610) 775-3848. You'll be glad you did! Considering the millions of dollars spent daily on TV commercials for single-brand insurance offerings, you would think that the independent insurance agent is a thing of the past. It's tough to go an hour on TV without seeing at least one commercial for AllState, Nationwide, GEICO, State Farm, or other single brand ("captive") insurance solution. That's because with few exceptions, only the big brands can afford to run national TV ads. Most people realize that big budget advertising does not necessarily equate with the best solution for all kinds of things in life. That's why, for example, many people avoid the pay-per-click ads found on search engines and instead click on the unpaid search results: they seek a high-quality answer to their search instead of one paid for by the competitor with the deepest pockets. 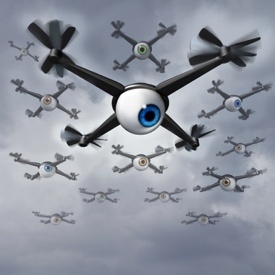 In plain English, they don't want to be "spun" by the marketing machines behind the ads. Let's apply the same thinking to an independent insurance agent vs. the mega-brands. Here are 4 reasons why an independent agent is likely to provide a superior personal or business insurance solution to satisfy your needs. Insurance is complicated. It is difficult, if not impossible, for those outside the insurance industry to understand all the insurance options for meeting their needs. Only an independent insurance agent understands the pros and cons of each insurance company and their policy offerings as it pertains to protecting you against your unique combination of risks and liabilities. Your independent insurance agent will check multiple companies and insurance solutions in detail to arrive at the best combination of value, price, and insurance protection to properly and fully address your individual or business insurance needs. That can be very time-consuming, but that service typically costs you nothing. Insurance companies typically handle only certain types of insurance. However, your independent insurance agent handles insurance from multiple companies, thereby covering virtually any need, including business insurance, homeowners and car insurance, boat, RV, and motorcycle insurance, life and health insurance, umbrella insurance, pet and vacation insurance, workers compensation insurance, disability insurance, and virtually every kind of liability insurance to protect any type of business need. Being a single source with access to multiple insurance companies and solutions, your agent can create the best blend of policies to provide the right protection with minimal overlap and waste between and among your insurance policies. 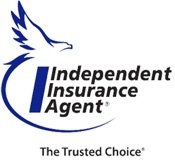 When you have an insurance question or need, your independent agent is there for you. You are not relegated to a faceless, nameless individual connected to an 800 number. Instead, you have the comfort and confidence of dealing with someone who you know, like, and trust for all your insurance needs. Think about it. Doesn't that kind of service and flexibility mean more to you than putting yourself in the hands of someone you don't know, and who offers only one solution or brand? 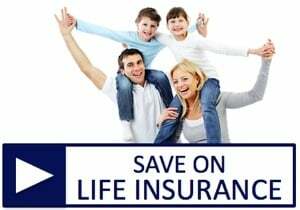 At American Insuring Group we pride ourselves in helping our customers not only save on insurance, but also in finding the right insurance protection. We'll put together a plan that will meet your needs, and we'll review your needs on a regular basis to see if it may be time to adjust your insurance to meet your changing needs, or to take advantage of better pricing that may become available as your needs change. Contact us today for a free consultation.